This is NOT a story thread! This is a means for writers to work out ideas in The Never-ending Story Thread and it's continuation NeSquared and for non-story questions and comments for everyone. The second half of this first post contains the update section, with a summary of the current storyline, who the active characters are (with links to their profiles if available) and where they are. The post after this one contains a table of contents for the whole of NeS, with links and summaries of each storyline. There is also a webcomic version of the NeS, though it only covers the start of the first story-arc. On a final note, if you're really interested, there is also an open dialogue for analyzing the relationship between the NeS and its community here as well as an attempt to analyze the design of the NeS through "lenses" here. Writers and readers, veterans and new people alike, please post any questions, comments, ideas, plans (as foolish as they may be), random thoughts etc etc. here for others to see and reply to in kind. Feel free to add to and reference to the ISB character profiles thread. Any and all writing issues with NeS in general can be worked out here at the workshop, so please say what is on your mind. This does not mean there will be no surprises! Writers obviously can still keep ideas to themselves until manifested into a story post. It's the beauty of participating in an interactive forum: to both be able to create and interact AND to watch new things unfold. Perhaps you can have your cake and eat it too. But realize that we're working together, not against each other. While somebody may have a great idea, perhaps someone else can polish it or make it even greater. We can still share ideas and have room for surprises. If you're a reader of NeS only, stop cheating and just read the story! Besides, it's not anywhere set in stone that we'll actually follow THROUGH with ideas posted here. If you are interested in any of the NeS spin-offs, please check out the EU NeS workshop thread. Last edited by Gebohq; 05-07-2016 at 12:33 PM. Pages: 1, 2, 3, 4, 5, 6, 7, 8, 9, 10, 11, 12, 13, 14, 15, 16, 17, 18, 19, 20, 21, 22, 23, 24, 25, 26, 27, 28, 29, 30, 31, 32, 33, 34, 35, 36, 37, 38, 39, 40, 41, 42, 43, 44, 45, 46, 47, 48, 49, 50. Gebohq and Galvatron challenge Ares for the fate of the Earth, they fight, Ares gets distracted and bored. A number of main characters are introduced, they all fight each other. Some major characters established are Gebohq, Antestarr, Semievil, Maybechild and The Otter. Geb and the band of heroes fight Semievil's sister, TotallyEvil, and her cohorts at Stonehenge. They take a detour to Disneyworld, Darkside plots, Dr. Evil claims to be their father, and stuff. Krig the Viking is established as well. The hero-types spend some times as videogame characters when the writers experience some "problems." While the writers have adventures of their own, the hero-types both find themselves as anime characters and at a picnic-thing. In an attempt to clean everything up, a giant CTF-type game on a modified Arena on the comet heading for Earth is held between heroes and villians. Once again, deus ex machinas (like the introduction of Phantom_Master) save the day. Or something. The ever-growing group of hero-types find themselves at Gebohq's House of Gibs, where they take the house special and go into the Forbidden Fortress of Forbiddeness -- a cliche'd FPS-based setting. CookedHaggis is established here (as their waiter) as well as Janitor Bob, and they fight off vegetable minions and eventually, the Spooky Taco in the CyberArena. The cast of heroes face two true evils. One is a Russian spy who initially is sent to assassinate Gebohq but later joins the heroes as his "original" self joins the Darkside and takes control of his clone brethren in an attempt to take over the world. The other is their lack of finances, as they are dropped off in Japan and attempt to scrounge up some cash. Characters such as The Last True Evil and The Mega_ZZTer are established. After having gained some financial holdings and a base of operations, the hero-types learn that the villains have taken The Machine That Goes Bing! (TMTGB) and its retainer (Gettleburger) captive, and they go off to rescue him. Gebohq, in the process of attempting to blow up the Arena, gets transported to TACC, so some of the heroes go looking for him. While those in TACC delve into Hell not only to escape back into the real world, but to stop an evil plot of Gate's, the heroes back on Earth manage to rescue TMTGB, hold a party, get arrested and sent to Australia, and then go on vacations, where they end up in Canada to tie everything up. Characters like Highemperor, Ford, and such get their big break as well. A threat on the existence of NeS is discovered when white plot-holes appear to be cropping up all over. In an attempt to stop said threat, the heroes disperse throughout the NeS timeline (past, present, and future) to collect clues and the like in a point-and-click adventure-style fashion. They converge in Yemen, where it is discovered that the villain behind this new plot is The First False Evil, and only by racing to the writers and discovering that the NeS was having a mid-life crisis were the heroes able to stop TFFE's evil scheme. Geb and the heroes take a moment to reflect back on their college days, where they remember how, even then, the forces of Evil were at work to stop them. Gebohq's story-wielding abilities, as well as the presence of the Ever-ending Plot (EeP), were unveiled. In a strange accident, JediKirby swallows TLTE and merges with him, threatening the usual "take over the world" plot. TLTE, however, having turned his interests away from evil and to love (of Losien), separates, taking some of Kirby's goodness and leaving some of his own evil behind. Kirby amasses a great army of Kirby clones in an attempt to take over the world. TLTE learns more of the EeP's plot in the process. The Darkside and the other villains, in a desperate attempt to squash the heroes, decide to "join them" and, with the use of special pumpkin pies, turn the heroes to their side, casting Gebohq out. Gebohq and the few unaffected hero-types find a way to reverse the effects, but not before realizing the real threat to NeS -- the EeP -- was moments away from defeating the NeS. The first "age" of NeShattered tells of how it came to be and introduced some key characters and themes that would become important to the future of NeS proper. Highemperor attempts to take the power of NeS for his own. "The Question" deals with Highemperor being hunted down by a form of TLTE called The Answerer. Highemperor's methods to gain ultimate power marked him as a "powerplayer" and thus needed to "answer" for his crime. The conflict rose on apocalyptic levels -- nearly all the characters of this "new NeS" died. Eventually, however, Highemperor appeared to have come to his senses, then was carried away to heaven, leaving NeShattered to be a potential paradise. Geb of NeShattered takes upon himself Highemperor's former dreams and goals, making himself the villain of NeShattered. A thousand years pass, and the potential paradise that NeShattered may have been falls into a post-apocalyptic world instead. The Answerer visits Geb and battles him, with Geb surviving. Geb then brings the Answerer to the graveyard of the NeS characters and leaves the Answerer to Morthrandur. The Answerer then "answers" for his own crimes, and dies fulfilled. The lost TLTE clones gather, and soon plot their own scheme against the NeS under the leadership of the TLTE clone known as "Darth Vice." Elsewhere, the Potentials gather to speak of Morthandur and his plans to supplant the good/"real" Geb with the Geb of NeShattered. The Shattered Geb also escapes NeShattered thanks to Helebon. Gebohq and the other NeS Heroes "invite" themselves to Shattered Geb's home dimension in an attempt to stop the evil wedding. The NeS Heroes crash the evil wedding, foiling Shattered Geb's plans. The third and final "age" of NeShattered chronicles the past and present "main characters" of the Never-ending Story as they journey to the epicenter of the Ever-ending Plot's tumorous spread, the source of The End of the Never-ending Story and beyond. Gebohq and Britt, sucked into NeShattered by a nasty plot-hole, learn about the current nature of the EeP and start their journey to deal with the threat at its source. Helebon, claiming to be the true ruler of Hell, ignites a civil war. Jim Seven, a former Protector of the Plotfractal and actual ruler of Hell, gains the aid of the remaining hero-types to fight his battle for him, for fear that, if Helebon should win, Hell would be spread overtly over the Earth in the NeS's confused and weakened state. The "evil Geb" from NeShattered appears in a climactic battle against the "real" Geb and loses. In the spirit of NeS (and stupidity), Gebohq then transports everyone into the 8th dimension. After a few wrong dimensional jumps, everyone finds themselves in the ominous 8th dimension. Lost, the heroes try to find each other, and discover a haunted house, which they make into their new base of operations. In an attempt to find a means back into the NeS proper, Shattered Geb tricks a number of the hero-types into an unknown device within the creepy complex underneath the haunted house. The good Geb, meanwhile, is enlisted by Jim Seven to fix the "Helebon" problem that wasn't really solved beforehand. Put in a bind, Geb tells the NeS to "sleep" and, once again, transports everyone into the dreamstate of NeS. Trapped (once again) in unknown territory, the hero-types discover that they're inside the dreamstate of the NeS, and that the NeS fears the return of the EeP (perhaps because the remnants of the EeP still reside within the NeS). To not only find their way back to the 8th dimension (and to the NeS proper), they must find their missing prized possessions and defeat the EeP within the NeS. When the time came, however, they could not recover their possessions, and the Shattered Geb (Gebiyl), now possessed by the EeP, was nearly ready to destroy them. A "child of NeS" was born, though, and managed to keep Gebiyl-EeP "trapped" in the dreamstate while they escaped. Arkng Thand is established at this point. Upon returning to the 8th dimension, the heroes split up -- TLTE and his group journeying to Jupiter in hopes of saving Losien from her captor (the shade of Michael McLongname), Ante and his group going to London to get supplies (and discovering that Helebon had been given his opportunity to bring Hell on Earth, which they decided to stop), and the rest left at the Haunted House of Heroes, where they intended to clean up "The Dust" that was threatening their future. All groups succeeded in some extent in accomplishing their goals. Having discovered the good Geb (whom they thought was dead) stealing Young and apparently going mad, they voted Antestarr as the new "leader" of their group, whom promptly disbanded them. Having been disbanded, only a small few remained to try and hunt down Young and save her. Upon going to Arkng Thand for advise, however, they learn that the Potentials, a powerful trio that were Gebohq's, TLTE's and Highemperor's potential incarnate, were hunting the heroes down to kill them. Feeling as if they had no other option, they hid in the Congo, where by fate they discover the good Geb (trapped in Gebiyl's body) and fight the Potentials, resulting in Gebohq and TLTE losing their potential. They discover that they had been set up by Thand, and upon confronting him again, are made painfully aware that they are no match for him, but that he is not the villain -- TLTE is. He also informs them that Gebiyl has escaped with Young to his home thread, NeShattered (having failed to gain anything at the Siberian bunker). As the writers adopt a mysterious new system called Story Arcade: Without Credit, problems arise. On the NeS-side, the main characters are tempted by The Calling to join the "Without Credit" program to fight rising terrorist threats, offered great "experience" and rewards to take the terrorists on at the expense of character. Meanwhile, with Gebohq having been afflicted with a life-threatening condition, Rachel, Soriel, and Bokken dive into the heart of a parallel gaming system called Story Arcade and meet up with Relapse, the Amazing Adrian and Tiger of the Gaming Guardians to find the source of his condition. As the NeS-bound cast travels through time and manufacturing plants to "level up", those in Story Arcade trick the owner of Story Arcade, Vice, to relinquish his ownership and thus free Gebohq of his condition. Rachel returns only to be rejected by Gebohq. JM's personality split into three, and his Ego attempts to absord all the characters in the story for its own glory. "Sup" and "Id" slowly gather the heroes and follow the Ego's trail as they attempt to stop its reign of awesome terror. The Ego, having absorbed such powerful characters as the Darkside and Tsolo, summons the rest to an awesome climax, having only been defeated by the Ego's burning desire for revenge against Ares. Sup looks ready to supplant the Ego's reign of terror, only for their re-amalgamation to have formed an apathetic JM and an anti-climatic resolution. In Search of Opportunity (pages 28-30). Gebohq and his companions set off with two NeScholars to search for some of Master Thand's most valued possessions. Elsewhere, Maybechild and the other NeSHeroes search for new recruits to rebuild their heroic fold. While Maybechild and her band only succeed in dying and serving Hell's forces in taking over Disney, Gebohq and the others succeed in infiltrating Thand's treasury, only to find his most valued possession to be his deceased true love. All but Gebohq are dragged into Hell to fight against Disney on Thand's account, and Gebohq is left with the opportunity to choose between his purpose and true love. From a raging battle between the forces of Disney and Hell, the lazy world-building wizard, JM, has stolen the strength from the powerplaying Citizen Rex and now intends to destroy the existence known as the NeS though various methods such as bad storytelling, censorship, and such. After stumbling through poorly-written quests, Losien and the other heroes manage to hold out the battle just long enough for JM to lose interest and forfeit his nihilistic endeavor. Liberius Vir is introduced in this story-arc. Darkside and Tsolo join forces to become Knowsoul as they search for the spirit of the NeS to consume. Losien and the others take a trip down Memory Lane, literally, in an attempt to find the spirit of the NeS before Knowsoul. Michael McLongname, now Twice-Forgotten, attempts to use the situation to his advantage by temporarily usurping Darkside and Tsolo. Renewed by discovering the spirit of the NeS first, however, Losien and the others once again prevail, though not without loss and regret. With one old contract null and void, another rears its ugly head: Rachel can only exist as a main character so long as she is romantically involved with her true love. Inspired by romances among the NeS Heroes, the group takes a vacation to rekindle relationships only to accidentally unleash a power-hungry powerplayer from another dimension into their world. To try and overcome this insurmountable challenge, the NeS Heroes unleash their Potentials, which only made things worse! What else could possibly go wrong? Britt and the Negotiator are introduced here. As the NeS heroes struggle to resolve the compounding problems to their 'solutions' of unleashing their Potentials, The Last True Evil begins to embrace his destiny as the Ultimate Villain of the NeS, breaking the 'seals' that will cause what is known as the Second Ragnarok, known also as The End. Now the NeS heroes race in an attempt to stop The Last True Evil from succeeding, having already failed to stop him from teaming up with Darth Vice. With the final seal revealed and the EeP inevitably ending the known world, little seems possible except to confront the terminal plotlines that have built up to this point. While Losien and Evil G chase The Last True Evil to the source of the EeP infection - NeShattered - the other NeS Heroes fight the good fight in the face of their end. Last edited by Gebohq; 10-24-2017 at 03:25 PM. Perhaps the most important question for you all in the long run: where (or where NOT) do you all WANT NeS to go? Story-wise, plot-wise, setting-wise... whatever. I'd like to hear some responses from others first before I give my own. Personally, I'd like to see less epic battles of death and more story (not plot!). I mean, it's good versus evil, so sure there's going to be fighting and stuff, but come on: how many times have we done the battle to end all battles? On one hand, we're lucky that people are so courteous in working with what the others write, but on the other that means there isn't much chance of someone writing up a big ending and saying, "okay that's done. We're moving on." Last edited by Gebohq; 09-30-2006 at 01:40 PM. I think the biggest problem is everyone is TOO worried about the plot. It's just a story. If something is fudged, go along with it. Most of us won't even notice it unless you point it out anyway. I am all for the less epic battles more story, but frankly... its kinda hard to do. Anything else oftentimes isn't a very interesting read. However, I did come up with an idea. Once this next little plot dies down, I was thinking of maybe coming up with a big big evil, but unlike most of them, we won't know where that evil is situated. The heroes will need to travel to the far ends of the earth, meeting many new people, going on quests, etc. I guess pretty much like LOTR without a destination, if you catch my meaning. This will allow us to keep the fighting and overall bad evil element, but get some new plots and stories into NeS. Not to mention, a few new heroes. Usually, the only time a hero is introduced is when someone new posts. I'd love to see some Tom Bombadil-type characters. Not really - many plotholes are highly noticable. I like to go back and re-read parts of NeS from time to time (and I know others do too), and though everyone does go along with continuity errors (they're bound to happen - look at Star Trek ), the story really breaks down when stuff stops making sense. Effort has to be put into researching your post (and I'm not saying you don't, these are just random thoughts) or we end up with characters being in two places at once, or magically getting resurrected, etc. Plus it's frustrating to write 800-1000 words and then see that work completely invalidated because the next guy didn't bother to read it. Of course, what partly contributed to the recent bout of plotholes is the fact that the end of page 50 is still shrouded in mystery. Actually, I think the best stuff happens when we're not mired in some huge all-out war...compare the first few pages of NeS with the later ones. Again, not pointing any fingers or accusing anybody of breaking the writers' code...*shrug* I don't know. Let's link arms with Mr. T, sing a song and kick NeS into high gear. Yeah, never-ending, death-laden, apocalyptic battles are totally Toaster territory: SO STEP OFF, SON. 1) It treated the story/plot/action in a resentational style, rather than a representational style. Read that again. That's right. For those of you who have never studied theatre, this means that the characters are not just there doing their own thing, they know that they're characters and that they're in a story called the NeS etc. It's a lot funnier that way, and lends itself to the genre. 2) It was episodic, in a more literal sense than the NeS could ever be (e.g. every 4 pages or so the climax would be reached and either Dave, the demonic embodiment of evil, or the hapless characters would accidentally blow up the thread, forcing the characters to jump to a new one) but with mini-segments instead of convoluted, never-ending and laboured storylines the NeS could be kept fresh and exciting. Muuurgh: Absolver, fire the frickin' laser! Muuurgh: Absolver, thanks for the help and all, but, er...that was a planet-destroying laser, right? Muuurgh: So won't it destroy the planet as well? This prompted a massive cross-country race against time which was fun to read and write. We should do more crazy stuff like that. My thoughts can be summed up in one sentence: Less serious, more crazy. NeS post 1999 is seriously serious enough to fill NeS's seriousness quota for the next 20 or 30 pages. You just wait. You'll see. Bloody 'ell, I can't wait until we're finally done this "final" post. It'll be great to read. As promised, here are the notes I'm using to work with while writing for the posts. I'm not promising it'll make much sense, but I'll answer any questions you have about them. I will say this: don't be intimidated by its complication -- I'm just being fanboy-ish with NeS and going all out. When compiled with my hopes of a comprehensive c-notes, I hope not for them to keep NeS railed, but merely for writers to look at and reference to if they wish as well as for readers to have a "cheat edition" of NeS to make it more user-friendly. =Heroes legitimately left: Geb, Galrek?, Tracer?, Haggis?, Ford, Krig, Absolver, Maeve, CoolMatty, Mega_ZZter, Kyle? =Zelda/Vampire-Death KNeLL bit with NeSword/Malorkus, with Dreamchylde as Zelda-type? =Shadowlord in gate @ Arena to Tribunal? =Scribe Character(tm) = Squared character? - Tribunal? Or just lackey? -cost for eternal life for NeS? ~Geb does intro bit with Ping, learns about Kirbies, enter Hell and join CM & gang upon which they discover dealy-bob with Helebon and NeSword in relation to NeShattered/plothole fallout from EeP battle, note with need of new Protectors (Tod?) and avatars. So I was thinking... perhaps we can have some heroes go to the moon as well? And the following is the latest in my designs, so revolutionary, I had to put it in code. To decode it, turn to the cooresponding page number for each number you see and plant the first word that begins with the letter in that place. Ex. w9 = "what." -A battle with (good) Gebohq, Qhobeg (Geb clone) and (evil/shattered) Gebohq. (2 on 1 or free for all, whichever works). Perhaps even 6313049 (evil robot version) and GebohqKirby, but not necessarily. -Evil Geb to weild the Malorkus at some point and become a Ganon-esque pig type, perhaps to counter Geb's use of the NeSword. DreamChylde and her reforging of the Malorkus should be considered, but the blade Geb obtains should probably come from Helebon himself. -For Evil Geb to not die/never be heard from again after this story arc. I like him too much! &lt;Lazarus&gt; Hey Matty, I have a couple questions. &lt;Lazarus&gt; What IS going on with TLTE and Wai? &lt;Lazarus&gt; So what IS going on with him? &lt;Lazarus&gt; Why did Maybe and TLTE die? &lt;Lazarus&gt; Pfft. You're just a - hey, wait, you HAVE brought life to this thread again, as in the old days. &lt;Lazarus&gt; Aw, man! But doesn't TLTE write anymore? &lt;CoolMatty&gt; so whats the list? &lt;Lazarus&gt; Highemp died, I know, but that was MY decision. &lt;CoolMatty&gt; i was thinking along the lines of a "room of souls"
&lt;Lazarus&gt; School is the ONLY time I get to write. &lt;CoolMatty&gt; its the massassi tradition! &lt;Lazarus&gt; We should have a story arc sometime where the corporate Lawyers are the villains. &lt;Lazarus&gt; How should we do that, you think? &lt;Lazarus&gt; Get the uber-epicness out, I mean. &lt;Lazarus&gt; The backdrop part, I mean. &lt;Gebohq&gt; "Less serious, more crazy. NeS post 1999 is seriously serious enough to fill NeS's seriousness quota for the next 20 or 30 pages." &lt;Lazarus&gt; continuity is our friend? &lt;Lazarus&gt; Also, I posted my NeShattered thing, Geb. &lt;Lazarus&gt; Hey y'all, I'll brb. Also, please be careful who you kill, if only because guys like Janitor Bob, Otter, Maybe and Krig (though I'm sure you haven't killed Krig) have very well defined-personalities - no "character sheet" can match actually being written into episode-thingers for several years. I mean, I know it's a pain to always refer to "Geb and the heroes" and stuff, but it's difficult for me to write for the Cool Matty character because I don't know too much about him, besides that he hangs around a Japanese girl and he likes to do stuff. Killing off the heroes who didn't really have personalities didn't impact things too much because they were basically generic stand-ins, but the main characters are something else. I trust your judgement and all, but tread lightly, eh? Lazarus = Highemp. Guess I should have kept that part of the convo too; MZZT had asked the same question in the chat, heh. Well, the large problem at hand is, is that we have SO MANY main characters right now, that it becomes hard, if not impossible to focus on personalities of each character. Most of us are trying as hard as they can to make sure each character gets some part in the story, and in the process, there is very little dialouge as a whole for each character. If we eliminate some of those main characters, the ones who aren't necessarily "required" for NeS anymore, can help alliviate the problem and give us some time to write a bit more on a personal level, with each character. I mean, I really want to focus in on CM and Mimiru's relationship, but I can't right now, because I end up leaving out other characters hanging around. I try to sneak in a line or two, but it's near-impossible to develop anything. MacLongname and Losien's relationship was developed with about three times as many heroes cruising around. Same goes for Losien and TLTE. *shrug* it's NeS...if you want to do something, do it. Basically, the idea in NeS 1999 was to hack down EVERYONE and just bring back those that we really wanted back. Technically, very few characters were to actually have stayed "dead" (mostly just those that wanted their characters to die: CoolMatty, Highemperor, TLTE) but instead were to "part their seperate ways." This would allow for them to return if ever the situation arised, but not have to stick around all the time. J-Bob, Maybe, and Otter, while of course very great characters (and character sheets can never replace good application in the story itself) also haven't been written for by their writer counterparts for many pages. Obivously, Krig and I aren't the last call on NeS-related thing; hell, even writing Otter's bits made me remember how fun it is to write for his character. So yeah, don't worry. I don't think any one of us really have the power to kill off a good character, even the writer themselves, heh. Actually, other than TLTE and Bill Gates (and a few thousand Demons/KNeLLs), I don't think we'll really be killing off anyone. However, I do think we need to keep the size of the main group of heroes in check, so the story can continue as smoothly as possible. My main idea was for "retiring" some of the more popular characters (mind you, Otter's popularity seems to be growing again, so he'll probably stick around) such as Maybechild and Sem. They would basically "leave" the story (go off and live in a cabin on a mountain or something, for all I know) and sporadically return one or two at a time for single story-arcs, and then leave again. If you read Sluggy, Sam is a prime example of what I mean. He's not in the comic for long periods of time, and then returns occasionally to play an important part in a story-arc, then leave again. For example, Maybechild could be gone from the story for a while, and then return suddenly with a message for Geb, saying that she's discovered some new evil and needs the Heroes to help get rid of it. They do so, wrap up that plotline, and then Maybechild leaves again. I think this would be the best way to better develop the characters of our -- Characters. Without so many faces around to distract the focus, we can flesh out some of the new guys and concentrate more on being funny. As Tracer said, it can be hard sometimes to write for the newer characters like CM. Hopefully this will allow us to make it easier. Appearance: Thin build, slicked-back hair, pointy little moustaches, immaculate tuxedo. Attitude: Snooty sarcastic waiter with an English accent. Just a few little lines like that go a long way to helping to write that character. I would suggest everyone who writes for NeS put at least those two things in the NeS Character Sheet forum -- it'd be a great help. Yeah, definately. I was just concerned for a minute that Geb meant for all the characters who are still around despite their writers having left to die. But I think we're good, so...yeah. Geb: Is it okay to end the current episode? I only ask because I'm still not 100% clear on your behind the scenes plans (if you have any, that is). No problemo. Actually, I was having a bit of difficulty thinking up a good thingy for Geb vs Geb (I appreciate Highemperor requesting that I write it though). So yeah -- just keep the above stuff in mind, mostly in that I'd like the NeShattered/evil Geb stuff to not end, die, etc. And, of course, any questions, comments, etc. you all have, speak up, and I shall answer. Did you all want me to wrap the story arc up? I don't mind, but I wasn't sure if Tracer, or anyone else for that matter, had any intention of doing so themselves. I can at least do Geb vs Geb soon if nothing else. *ahem* I've got a surprise coming. Sound good? I know TLTE had a plan for ... TLTE. So I recommend only you make the post about what happens up there in Heaven. I purposefully moved TLTE out of the main plot so we could finally move on with this. And God would seem to be a perfect character to turn to for this. I think another question to ask is if God and WriterGod are synonymous in NeS or not. I think if some crazy crap doesn't happen, I'm going to die. Or maybe I'm turning into one of those annoying writers who pops in to comment on the story but never contributes. When I get done Post 1999 (which is coming along nicely, I might add, nearing the home stretch), I'll be sure and add some insanity back into NeS. And about the religion stuff -- once we get this story-arc in Hell done, I'd really like to move to something else. I don't particularly enjoy dancing around the edges of blasphemy -- it makes my sinuses itch. But yeah -- just keep in mind that religion, God, and Satan and the like can be sensitive issues, and don't do anything stupid. That's my advice. Random note: I'm thinking of calling the story wielding-magic stuff "Or" or "Orr" to perhaps keep it less confusing. Besides liking the ring to it, the letter O is shared in both "story" and "plot" as well as sounding like a similar resource (ore). Here's waiting in anticipation for TLTE's surprise-thingy. I'll post my other major ideas once he's posted. &lt;Gebohq&gt; might want to mention the idea behind doing this as I just explained in a nsp, but otherwise, go wild. And we'll see what comes up. Speak here on ideas you like and whatnot that have been posted on NeS. EDIT: Oh, right, forgot about my idea-r. Once we decide on what the 8th dimension ends up being and edit it to our liking or whatever, and perhaps establish whatever else, I figured Evil Geb will attempt something equally crazy, in hopes of becoming wielder of NeS himself -- he would attempt to recruit other villians. 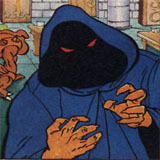 The standard is usually getting writers to join in and create a hero character, but if we make a interesting enough thread about it on the General forum, we could invite others to write themselves in as villians. It's an idea anyway, and the new writers could take the initiative of making a story arc or whatever. If you all don't like it, I won't do it, but I think it has much potential personally. NSP: Alright, the whole "spin a bunch of random ideas for the 8th dimension" thing doesn't seem to be quite taking off. Just wanted to warn you now to put forth any requests, in the story thread or outside the story, before I attempt to throw out a more solid story arc to work with That is of course, unless someone else wants to -- remember, this ain't just my thread, people. THERE WILL BE NO TRUTH HERE! Alright, so I posted on NeS. Basically, I'm proposing the 8th dimension is really like a shadow dimension, though it should have similarities with the other dimensions we jumped in. Feel free to use time-traveling though and any other sci-fi cliche (like my blatant Half-Life references ). This new story arc can be zany ANY dark. And stuff. Also, I request that if you would, to only write your characters. That means unless you're Krig, don't write about Krig, or unless you're CookedHaggis, don't write about CookedHaggis. If you have extra characters, like Mimiru or Qhobeg, you can write for them. Just try to keep it sort of small and survivial and stuff for now. At least until the story arc picks up, which should happen when the villianous writers start pouring in! Also, I "ended" NeShattered, though it'll obviously carry over into the main thread. um, there seems to be choas with a few new guys (myself included) in NeS at the moment. There's some sort of villan group forming somehow. I just think Gebohq or soemone should straighten this out. I'll check in here now if we get this straightened out and i type for it again. Geb asked for the villains. yah, but it's getting a bit confusing. But just wait till the villains meet up with the heros BWHAHAHAHAHAHHAHAH.........................HA! And just to clarify, there's no problem of course with writing characters already talked about (like Geb), I just meant don't go "re-entering" other characters unless they're your own. And stuff. I know it's confusing. I've actually read all of NeSquared (and that took awhile, i can tell you) so i know how bad it can get. it just seemed a bit worse then usual. it seems to have cleaned itself up while i was gone, though, so i guess it's fine now. And thanks about clarifying that bit about the writing. i was wondering what we were going to do about CM.